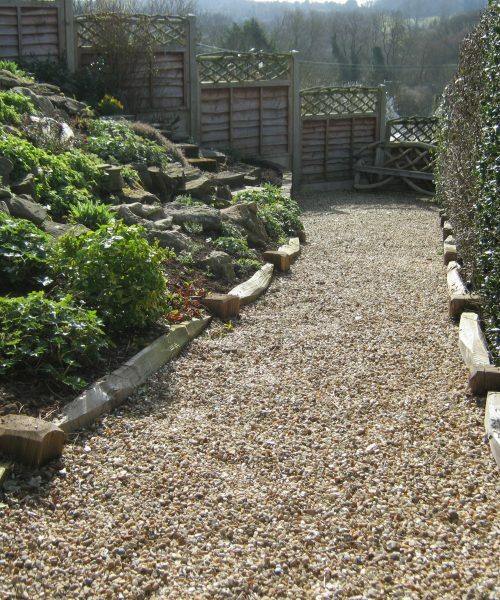 An attractive and versatile alternative edging for your lawns and paths, made of cleft sweet chestnut. The posts are square cleft with a mortise for the rails to slot into neatly. They sit in the ground 18″ with about 6″ above ground. The rails are available in lengths of 3′, 4′, 5′ and 6′. The shorter rails are ideal if you want to follow a curve.